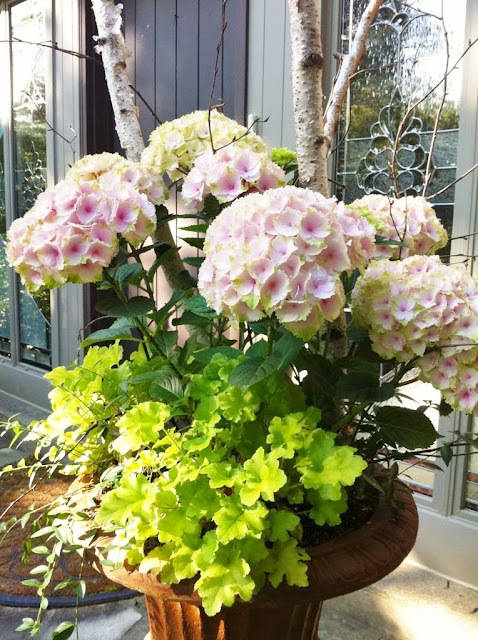 With the arrival of November, it is now time to change over the summer planters for the winter season. 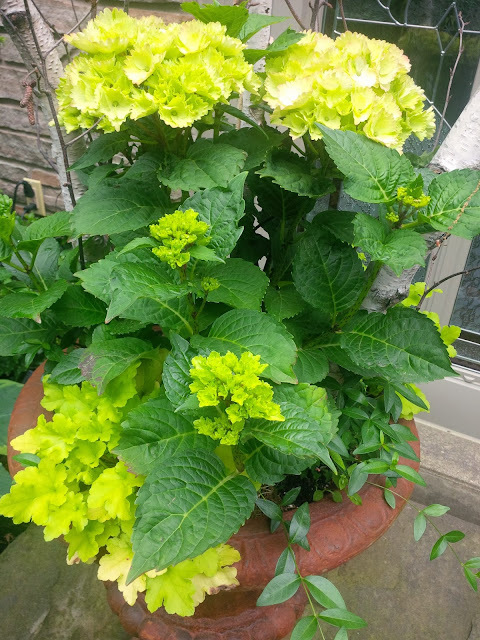 At the same time, I am sad to see the gorgeous hydrangeas that I planted in the front urns moved into the back garden. Their fall colour was stunning and was enhanced with the bright green colour of the ruffled 'Lime Marmalade' heuchera plants. Also a perennial, this hardy plant makes a lovely garden border. 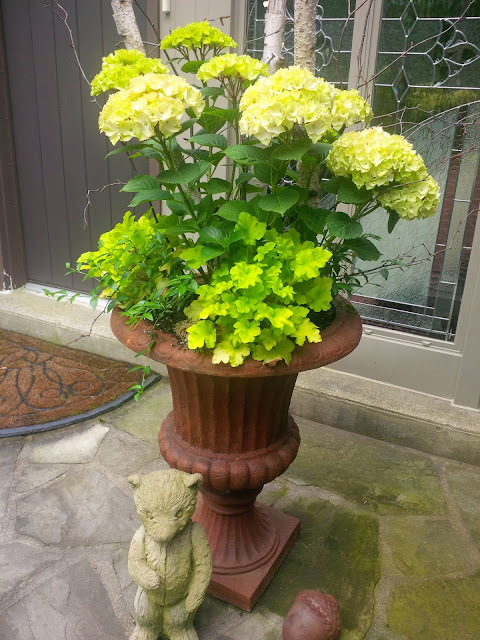 Rather than planting annuals for the summer, I opted to fill my urns with perennials that I could transplant into the garden at the end of the season. 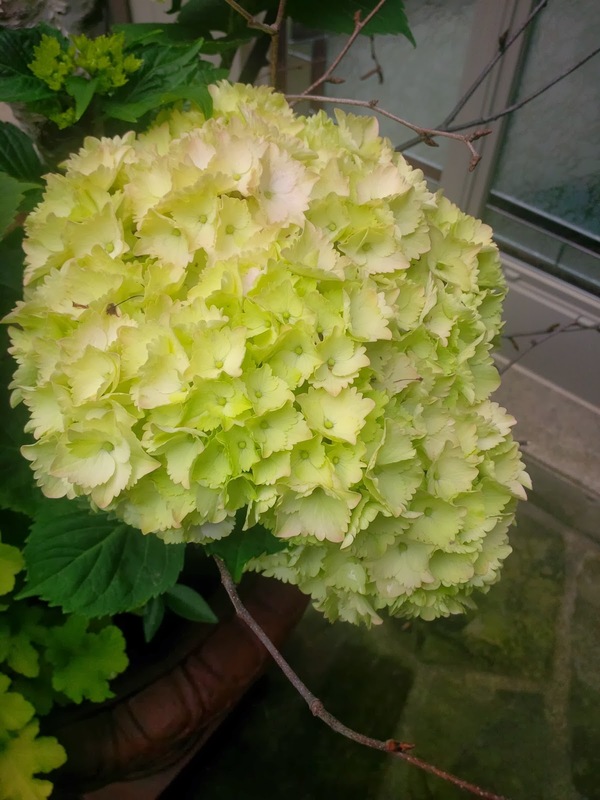 At the nursery I found the most amazing looking hydrangeas, and although I have many in my gardens, I couldn't resist these beauties. 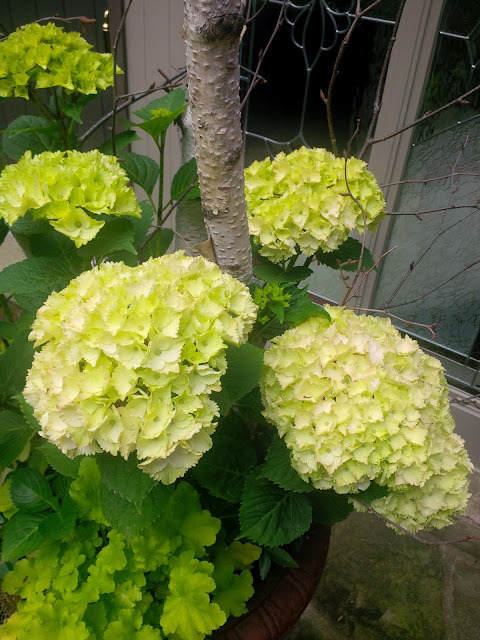 They are called Everlasting 'Ocean' Hydrangea and promised "flowers that change colour throughout the season." When I bought them, they were a pretty soft green with a hint of pink. As spring turned to summer, the huge flower heads changed into the most pretty pink colour. They looked like a bundle of pink umbrellas tied together. Pale pink deepened into rose as the weather cooled. Finally, fall brought a beautiful burgundy bouquet of flower heads to my front door step. I so enjoyed watching the colour transformation of my planters thanks to my "Everlasting Ocean Hydrangeas".